We won the overall prize and the 1st prize in the category ‘resourcefulness’ of the 3D concrete printed bridge design challenge, organized by ConsulTable, part of De Bouwcampus! Our submission was a collaboration between Pim van Wylick of The Form Foundation and our own Diederik Veenendaal. The submissions were judged on the basis of circularity, strength and resourcefulness. 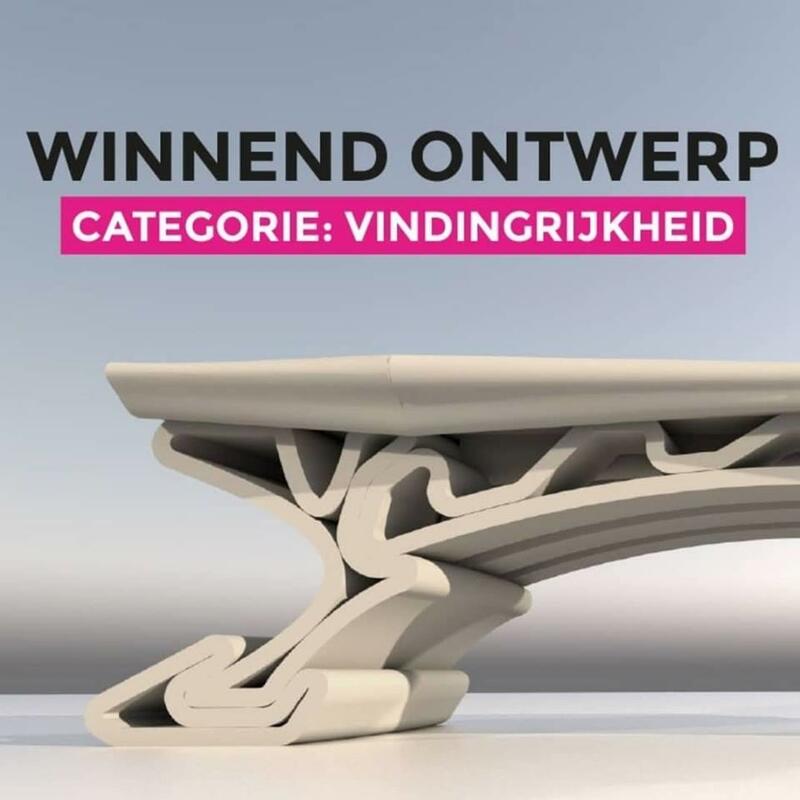 The award ceremony was held yesterday at the annual Infratech trade fair, at Ahoy, Rotterdam, where the three finalists have their 3D printed designs on display for the entire week. After a lecture on developments in 3D printed concrete around the world, Prof. Theo Salet of Eindhoven University of Technology, handed us the award. The event and our 3D printed model were made possible by ConsulTable, BAM Infra and Weber Beamix.